Does the idea of running through the woods while being chased by a maniac in a hockey mask sound like fun to you? Or how about having your dreams invaded by a vile, demonic entity looking to hack you limb from limb? How about trying to survive a night of babysitting while an eerie white-masked individual is after you? Okay, so perhaps these don't sound that appealing in real life, but they're a blast when they happen in a role-playing game. 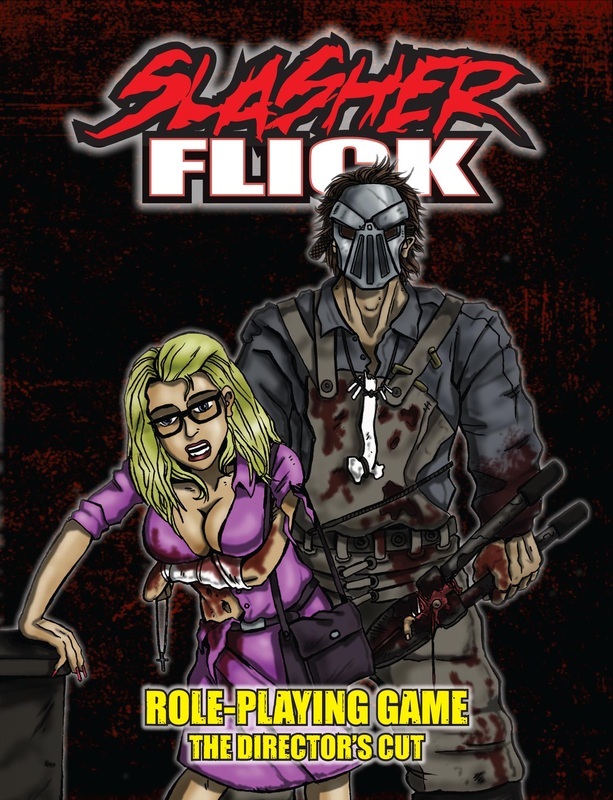 That's what Slasher Flick is all about! The game utilizes a simple but evocative system designed to emulate every nuance of the source material. For example, every player plays a primary character as well as one or more secondary characters (i.e., the ones you just know are going to get butchered). The secondary characters can be used to do investigate that mysterious noise or go down into the basement so that the players gain genre points that can then be spent to assist the primary characters. The focal point of the game is the "kill scene" system. When the killer strikes, a kill scene begins. A kill scene is a stream of narration punctuated by stat checks. Successful stat checks grant the character survival points, while unsuccessful ones cause a loss of survival points. If the character gains 8, he survives... but if he drops below 0, he’s history!